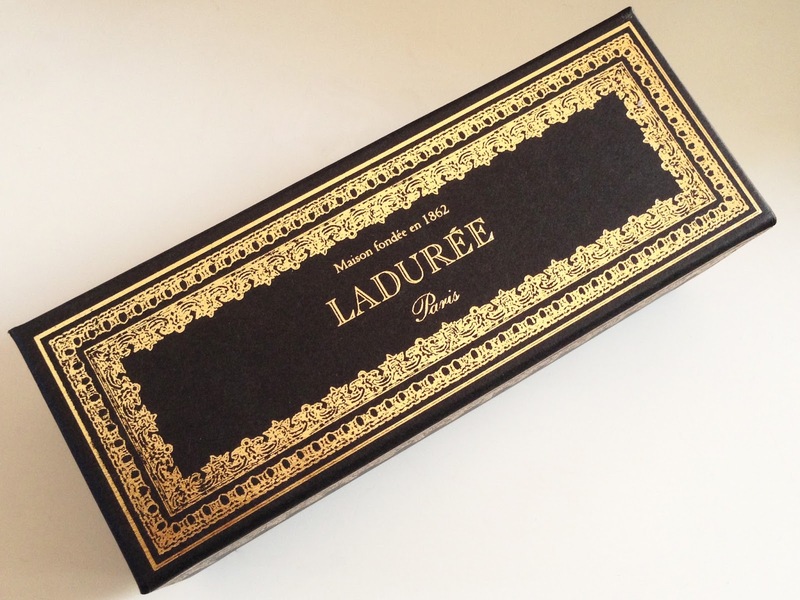 I love Laduree's black box with the gold detailing; it remains me of a 19th century black Friesian horse drawn hearse. I also love that the inside of the box is lined with match black tissue paper. Enjoying my afternoon tea with Chocolate Banana, Red Fruits, and Orange Blossom (one of my favorites) macarons. 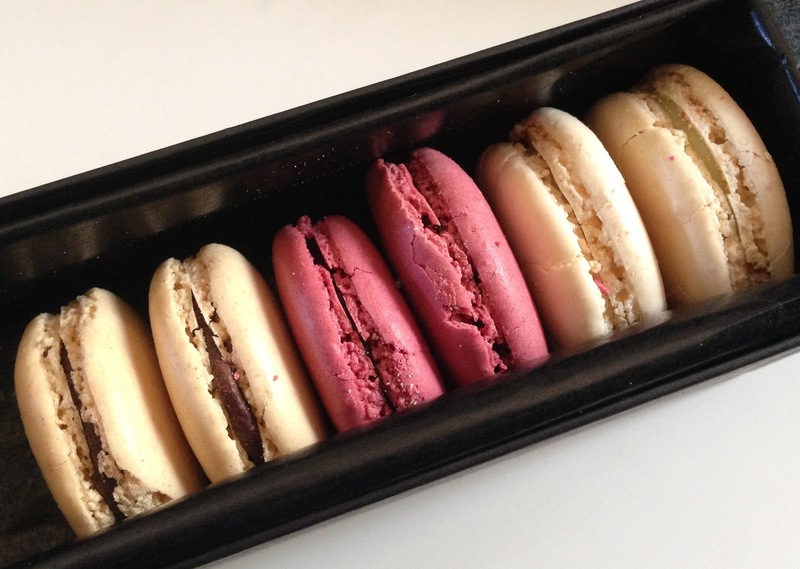 What are some of your favorite Macaron flavors? They were Alice, especially the Orange Blossom. Every time I visit a Laduree, it's always an experience. If you live near one, definitely check it out. I NEED some macarons! I have a small cafe nearby that makes some nice ones and they have a huge assortment of flavors. They are very pretty, too. I like mocha, dark chocolate and nutella. Can you tell I am a fan of chocolate? Why thank you love, but I'm still trying to fix the layout. I may use the same person who you used for your blog. Love Nutella and I eat it by the spoonful. Clearly, I haven't browsed your blog in too long, because I knew nothing about the layout changes! I'm liking it, Liz :) Mmmm, macarons... I don't actually remember last time I had one but I'm going to be passing by my favorite French bakery today so I might just get some! The layout works for now, but it's not final. Funny. Japanese it full of yummy french style bakeries. Got for my tummy, but bad for my waistline.